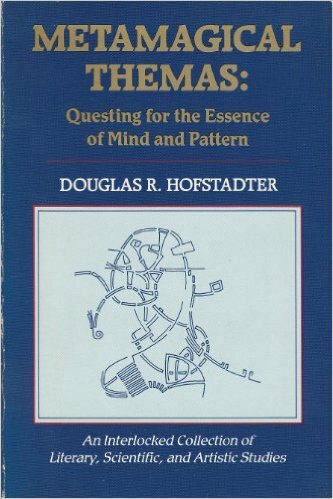 May’s Book of the Month is Metamagical Themas by Douglas Hofstadter. First published in 1985 by Basic Books, available in hardback and paperback. Also available in French under the title Ma Thémagie (InterEditions, 1988). Our second ever Book of the Month was Martin Gardner’s Mathematical Puzzles and Diversions — that author’s collected columns from Scientific American. Hofstadter followed Gardner writing this column, and the current month’s book is also a collection of those columns. 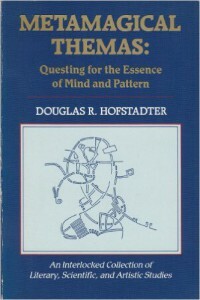 Hofstadter also wrote Gödel, Escher, Bach which is another featured Book of the Month.